One of my favorite finds when we were at Disney a few weekends ago was Licor 43. I can’t believe I’ve never tried it before, it’s amazing. It’s a Spanish liqueur made from different citrus flavors, vanilla and other herbs. 43 different flavors to be exact. 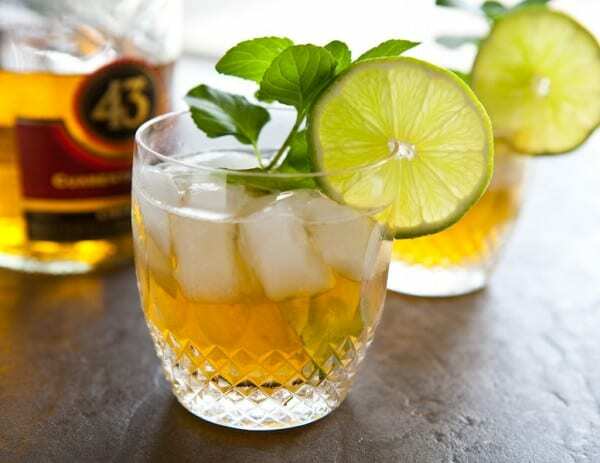 This is no new product either, legend has it that Licor 43 dates back to 200 B.C., to Roman times. Supposedly after the Romans conquered the city of Quart Hadas, they discovered a liqueur made from citrus and aromatics. They passed the recipe down from generation to generation. In 1924 Diego Zamora purchased the recipe, along with a distillery in Cartagena, Murcia, Spain and starting producing Licor 43. For the past week or so, we’ve been experimenting with it, adding it to Coke, Sprite, Dr. Pepper and different juices. This liqueur makes almost everything taste amazing. But yesterday, I was playing around with it, trying to combine two of my favorites, a mojito and rum and pineapple along with this liqueur, and this is what I came up with, the perfect tropical summer cocktail, a 43 pineapple mojito. I purposefully left the sugar out of this cocktail because of the sweetness of Licor 43. Add mint leaf to cocktail shaker and bruise with a spoon. Add ice, rum, Licor 43 and pineapple juice. Shake well and pour into cocktail glass. 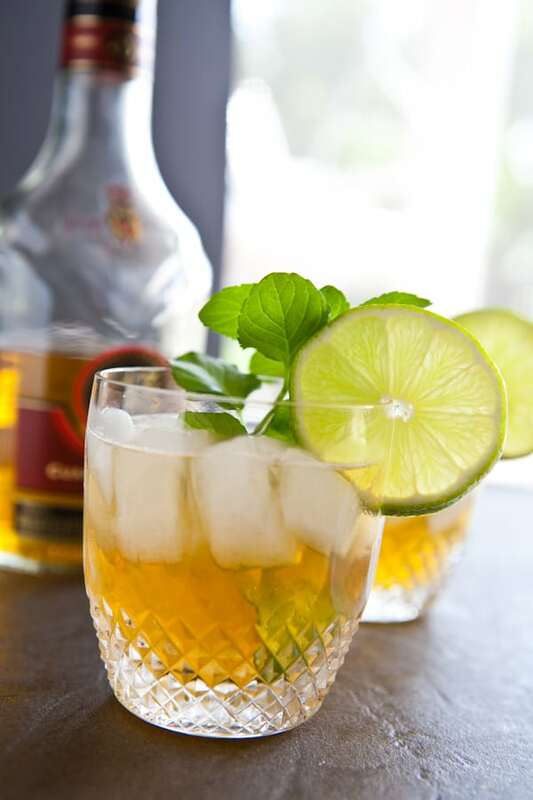 Garnish with more mint and a slice of lime. I’d like 2 of these please! Yummy. Love pineapple in anything! Looking forward to seeing you next week Angie! I am super intrigued by the sounds of this liqueur. It sounds awesome, as well as this drink you concocted! 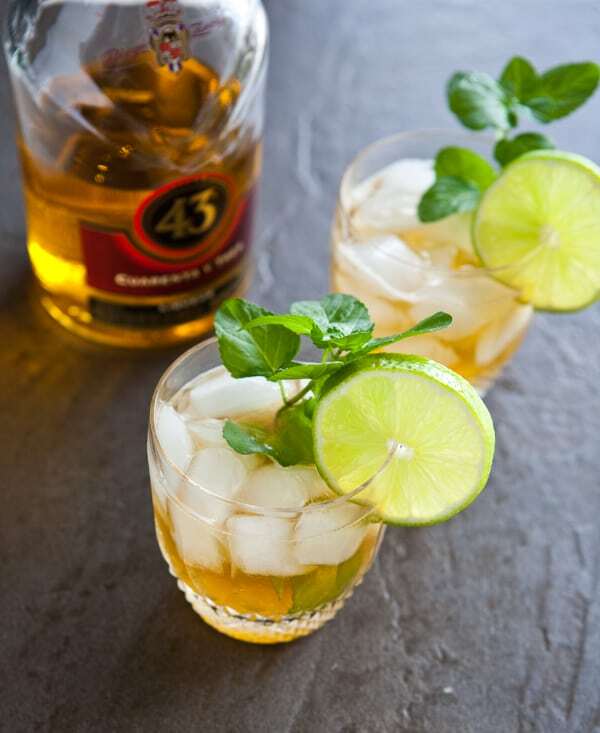 You’ve just put me on a quest to find this Licor 43. I’ve got to try this mojito. This looks like my kind of cocktail! Gorgeous photos! It’s kind of early in the day, but I could still go for one of these right now! Mmmmm looks yummy and refreshing. A telltale indication of a sewing genius if I do say so myself! last night I came home with my newfound materials and made up a routine for this bag, basket, bag-sket, no matter what you want to get in touch with it. I believe I am planning to call it the “Lucille” picnic bag. I drafted a sequence primarily based a bag I saw in this journal:.